Will Alstom Use The Buxtehude To Cuxhaven Route As A Test Route For The iLint Train? I think there are various factors that could make the route between Buxtehude and Cuxhaven stations an ideal test route for hydrogen-powered iLint trains. 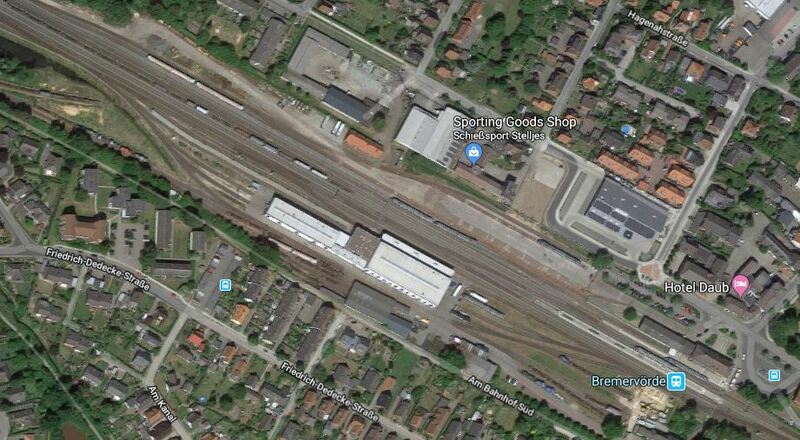 This Google Map shows the area of Bremervörde station. There appears to be a lot of space. In this article on Railway Technology, which is entitled iLint: The World’s First Hydrogen-Powered Train, this is said. As part of the deal, Alstom will provide maintenance for the trains over a 30-year period. Meanwhile, leading gas company Linde will supply hydrogen for the new trains and erect the first-ever hydrogen filling station for trains in Bremervörde. The plan is that hydrogen will be produced onsite via electrolysis and wind energy at a later stage of the project. As I passed through Bremervörde station, on my trip to the line at the weekend, I took this picture. There would be plenty of space for the proposed hydrogen plant and to stable both the working fleet and any other trains, that were being tested for other places in Europe. Linde would would only have to ensure that the hydrogen plant was sized for all future needs. The route between Buxtehude and Cuxhaven has the following characteristics. It is about a hundred kilometres long. It is mainly single track except for the section through Bremerhaven, where it has at least two electrified tracks. The scheduled service is one train per hour (tph) in both directions. The line appears to have reasonably new signalling. There are numerous level crossings. I didn’t see any other traffic on the line, but I suspect there must be extra paths for freight, service trains, empty stock movements and a heritage service that uses part of the route. I suspect that it could make an ideal test route, if extra trains could be squeezed in between the scheduled service. 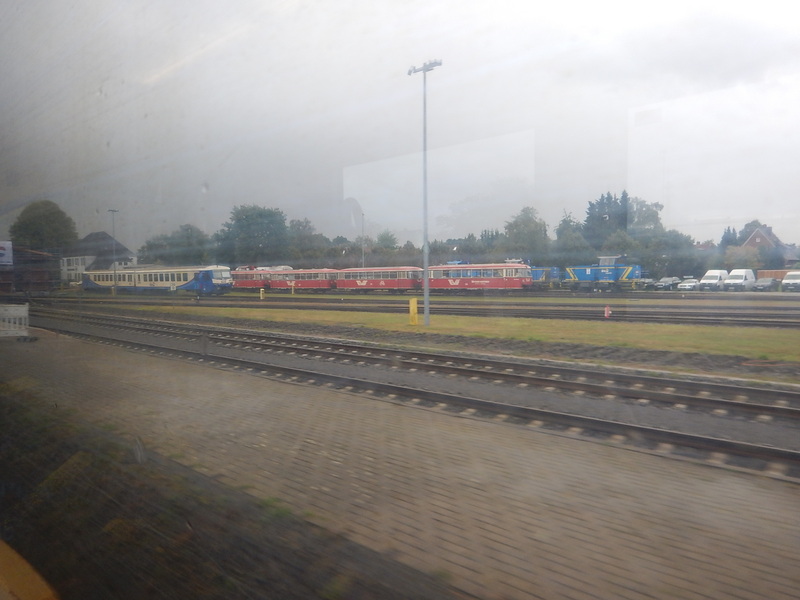 The Lint trains are built at in a factory at Salzgitter, which is between Hanover and Bruaunwieg, which is about four hours away. The iLint trains could do this making their own small amounts of steam, but they would probably be dragged by a diesel locomotive. I think that we’ll eventually see a pantograph on the iLint, for one of three reasons. It would allow running on overhead electrification to charge the battery and reduce hydrogen consumption. It would allow creation of a diesel/electric hybrid version, that might be a lower capital cost alternative for shorter lines. It would create a battery.electric hybrid for short extension routes. Alstom could possibly create a range of solutions for a wide range of applications. The Buxtehade To Cuxhaven route includes a section of electrified line, which would surely be ideal for the testing of these trains. I think that Alstom will use the route to test hydrogen-powered trains.